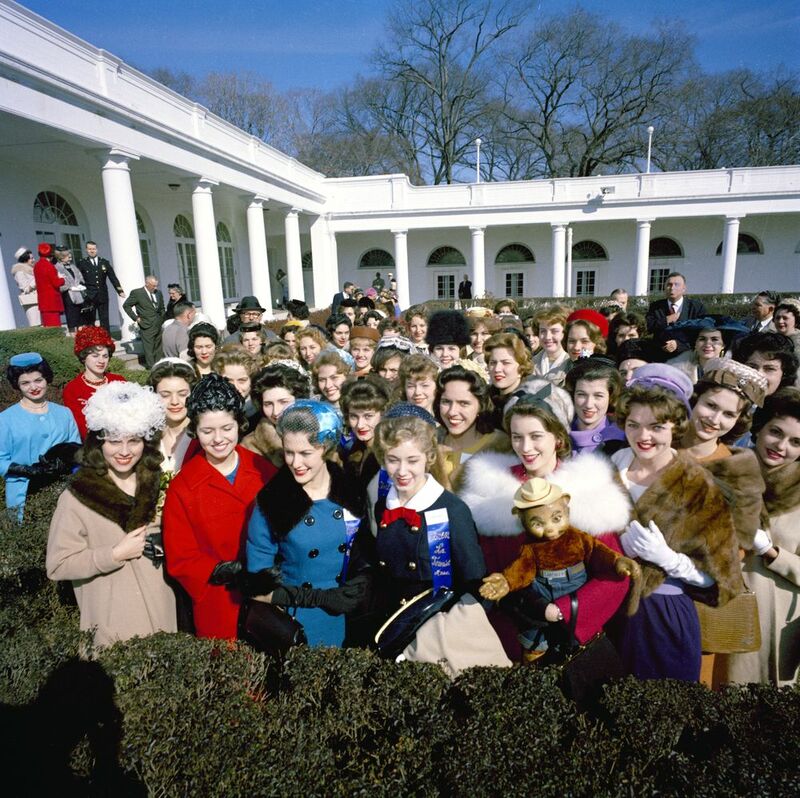 On March 2, 1962 — exactly 50 years ago today — the Mardi Gras Royal Court and guests met with President Kennedy at the White House and gathered in the Rose Garden for the following photograph. Standing in front of the group (holding a Smokey Bear doll) is the United States National Forestry Queen. We do not know her name, nor can we identify anyone else in the photo. Can you help us identify any of the individuals in this photograph? Please let us know!